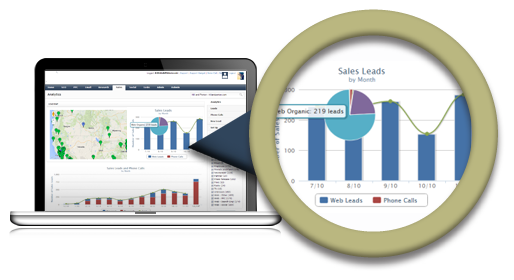 All-in-one web-based dashboard to report on all areas of your digital marketing campaign. Rather than build our own point service for each reporting need, we have taken advantage of open web APIs (Application Programming Interfaces) that allow us to automatically analyze information that normally would require hours of data collection and complex spreadsheet formulas. Our portal is included with any marketing package, but can also be provided standalone with out a monthly marketing package. What does that mean for our customers? It means that we can make decisions faster and with fewer errors and it also means that you have access to your campaign information 24/7 through your own dashboard. 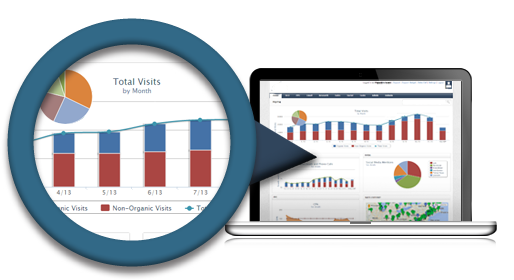 If you’d rather get email updates, we can inform you about new leads, traffic, and keyword trends as well in a consolidated monthly report. 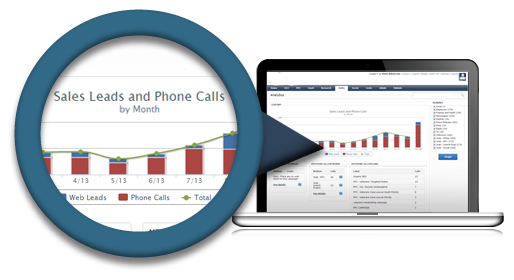 Get analytics, search rankings, leads, phone calls, and paid search data all consolidated within your own online admin area. Organic traffic is an important metric for SEO terms. 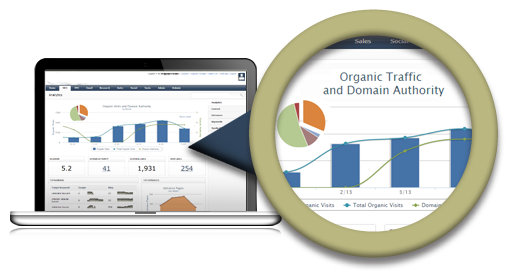 We filter organic search traffic from non-organic search traffic in a quick graph. 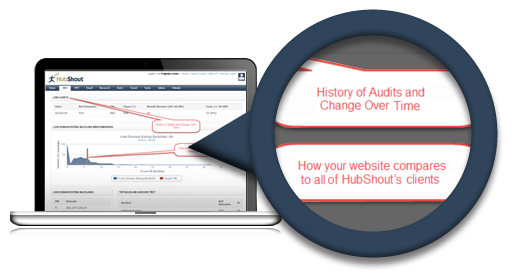 Our Link Audit Software helps you spot trouble and make an educated decision on how to handle potentially toxic links.